For half a century after World War II, the United States pursued one of world history's most successful national strategies: it nurtured the economic and institutional rebuilding of Europe and Japan, the development of other countries, especially in Asia, and bonded them economically, while protecting this strategy with superior military force. Beginning with the Marshall Plan, Presidents Truman and Eisenhower fashioned this bipartisan strategy, limiting military expenditure whenever it threatened resources for the core economic strategy, and all presidents through Clinton pursued it, the latter with particular vigor. This strategy defeated the Soviet Union, which also had a powerful military and a powerful ideology (however perverted the practice), but gave nearly exclusive priority to the military. Analogues of this economics-focused strategy consolidated the security of U.S. allies. Japan became a big power despite lacking a strong military. In South Korea, General Park Chung Hee took over a country inferior to the North politically, economically and militarily, and shifted to an overwhelming priority for economic development; today South Korea is stronger in all respects due to an economy more than 20 times the size of that of its military-obsessed adversary. In Indonesia, General Suharto abandoned territorial claims to most of Southeast Asia in order to focus on development and made Indonesia the clear regional leader. China's Deng Xiaoping, emulating them, cut the military budget from 16 percent of GDP to 3 percent in order to focus on development, and China became a great power in only 30 years. In 2001, the United States abandoned its successful economics-focused strategy. In 2001, the United States abandoned its successful economics-focused strategy. For the first time in modern history, all major foreign policy positions were held by defense specialists: General Colin Powell as secretary of state, Richard Armitage as his deputy, Donald Rumsfeld at defense and Condoleezza Rice as national security advisor, all led by a former defense secretary, Vice President Cheney. As a result, in planning the Iraq war, there was no economic voice; any development expert knew that dismissing the entire ruling class would be catastrophic. Even after great revolutions like those of France and Russia, a country can only be run by the experienced bureaucracy. In Afghanistan, expenditures on economic development were pitiful and Rumsfeld insisted that economic development must be controlled by the military; the accumulated civilian expertise and success of half a century were contemptuously dismissed. With its overwhelming military priority, the United States now has the most powerful military in world history. Because of its exceptional competence and devotion, Americans rightly hold the military in higher esteem than any other government institution. But this great military has lost every war it has fought since the change of strategy, and continues to lose. The problem lies not with the military but rather with lack of civilian leadership. Chopping off the economic arm and relying on one-armed military tactics was not partisan and was not a calculated decision. It was initiated by a right-wing Republican administration, then persisted under Democrats. It is sustained not by explicit strategy, but rather by inertia and interest group pressures. The lobby for ever-increasing military emphasis holds near-absolute sway in Congress, which imposes even weaponry and bases the Pentagon doesn't want while starving the State Department and economic institutions. This great military has lost every war it has fought since the change of strategy, and continues to lose. Nor is the problem lack of money for a positive economic policy. Much of the needed local institution building and international trade regime development have minimal cost. Given scarce resources, Eisenhower and Truman trimmed back the Pentagon budget. Moreover, the almost exclusively military-focused strategy has turned out to be wildly expensive. Future historians will likely say that the United States wasted at least $2 trillion on unbalanced strategy in the Middle East and Afghanistan. The problem is misallocation. Although all presidents through Clinton, indeed particularly Clinton, adhered to a balanced military-economic strategy, congressional provincialism initiated the gradual abdication of U.S. economic leadership even before 2001. The institutions of U.S. global leadership were the International Monetary Fund and World Bank (1944); the Marshall Plan (1947), followed by generous development assistance for the poorer countries; the U.S. dollar's global dominance; and U.S. leadership through the General Agreement on Tariffs and Trade and the World Trade Organization in a trade and investment regime that spread prosperity. Any enemy of U.S. global leadership must undermine these institutions. That is happening. The preeminence of the dollar derives from the superior liquidity of dollar markets and from confidence that the U.S. Federal Reserve and the U.S. Treasury will provide liquidity in crises. Dollar liquidity has declined but remains greatly superior to all alternatives. Trust that the United States will help in crises has, however, been shattered, particularly in Asia. In the Mexican crisis of 1994, the United States used its Exchange Stabilization Fund to prevent Mexico's currency crisis from becoming a catastrophe. The Mexican intervention cost the United States nothing, but Congress prohibited future similar interventions. While the U.S. executive has always backed the Bretton Woods system, Congress has undermined it. When the Asian crisis began in Thailand in July 1997, the United States therefore could not intervene and some of America's strongest Asian allies felt abandoned. Punitive IMF conditions crashed Thailand's economy and collapsed Indonesia's banking system. In a precursor of the Asian Infrastructure Investment Bank controversy, the United States insisted that Japan withdraw an offer to create a recovery fund that the United States feared would compete with the IMF. Therefore, in Asian eyes, the United States was accountable for catastrophic IMF policies; distrust for the U.S.-Bretton Woods system persists. Key congressional restrictions continue. At the time this article was written, the United States had five standing swap agreements worth $333 billion; China had 28 worth $499 billion. While the U.S. executive has always backed the Bretton Woods system, Congress has undermined it. The World Bank and the IMF were designed, at Bretton Woods, for the world of 1944, in the scale of their resources and the structure of their governance. Afterward, presidents of both parties consistently supported augmentation of their resources to cope with a growing global economy. But from 2009, Congress has rejected this bipartisan tradition. Xi Jinping attends a meeting of representatives at the signing ceremony for the Asian Infrastructure Investment Bank. Photo by Takaki Yajima-Pool/Getty Images. That refusal led directly into the recent controversy over China's founding of the Asian Infrastructure Investment Bank. Outside Washington, the AIIB debate has focused on the scale of need, $8 trillion of investment over a decade. The World Bank ($223 billion) and the Asian Development Bank ($168 billion) have a combined capital of $391 billion. China and virtually all U.S. allies and the U.S. administration pressed for that capital to be increased, but Congress refused. China wants to strengthen these institutions; it is the U.S. Congress undermining them. While the old institutions' capital stagnates, China Development Bank is putting some $190 billion into foreign loans, the New Development Bank has initial capital of $50 billion and authorized capital of $100 billion, the Silk Road infrastructure fund will have $62 billion and AIIB will have $100 billion, overshadowing the Bretton Woods institutions. Given those numbers, the U.S. refusal to capitalize the existing institutions ensures that they will lose leadership. Likewise on governance reform. For many years there has been a global clamor, mainly from friends and allies of the United States, supported by the U.S. president, to revise the governance of these and other postwar institutions to reflect today's world. But Congress rejects reform. The United States has three options: update existing institutions sufficiently so that they can provide leadership; refuse modernization and embrace new institutions that fill the resulting vacuum; or refuse modernization of the Bretton Woods institutions and oppose new ones. The first two options both provide a decent chance that the United States will remain the preeminent economic leader, albeit with more influential colleagues. Ironically, congressional choice of the third option ensures that the new institutions will be preeminent and that China will be preeminent within them. Moreover, the Obama administration's argument that China can't be trusted to provide sound AIIB governance was worse than weak. Some dispassionate observers even think AIIB governance will be superior to that of the Bretton Woods institutions, because it will properly represent emerging countries, because China has taken the lead in promoting green financial structures and because the World Bank is muscle-bound, unable to make decisions in reasonable time at reasonable cost. China's creation of AIIB was based on a decision that, after having lent over $600 billion unilaterally, its funding would be more effective in a multilateral institution -- a decision aligned with U.S. interests and strongly supported by leading Europeans as system-supportive, not destructive. The Obama administration's argument that China can't be trusted to provide sound AIIB governance was worse than weak. The global financial crisis degraded U.S. economic leadership in multiple ways. As China's most respected bank reformer told this writer, "We discovered that our teacher didn't know what he was talking about." During the global financial crisis, trade finance suffered a severe collapse -- one that for Asia's trade-dependent economies was potentially catastrophic. Not surprisingly, Asian banks, especially Chinese banks, moved to limit the shortfall. After the global financial crisis, global financial leaders (dominated by Americans and Europeans) agreed on new bank capital standards that heavily burdened trade finance, even though trade credits are fully collateralized and self-liquidate in less than a year. These standards made trade finance relatively less attractive and thereby ensured a continued shift toward non-Western banks. That set the stage for what seemed impossible five years ago: the Chinese renminbi has surpassed the euro as the second most important settlement currency. The global financial crisis and qualitative easing have created incentives to reduce dependence on a dollar-based system. After the financial crisis, China and Russia both called for an alternative monetary system; the pain they suffered would have inspired such calls even if they were on good terms with the United States. While the United States bitterly complained about national loss of 3 million manufacturing jobs in a decade -- mostly to automation -- the global financial crisis cost China more in a single city in one year. Subsequently, U.S. monetary policy has created a tsunami of money into emerging markets that is beginning to wash out. The results have included huge housing bubbles and over-indebtedness globally, and socially disastrous inflation of food prices in the Middle East and India, likely to be followed by bubble-popping and financial crises. The Fed is de facto the central bank of the world but makes decisions, as its legal charter requires, on U.S. considerations. The U.S. position was once famously summarized by Treasury Secretary John Connally as "It's our dollar. It's your problem." More than any time since the 1940s, much of the world is actively seeking to address their problem. Further erosion of the U.S. role results from making bank fines the foreign policy instrument of choice. Multi-billion-dollar fines are now common for dealing with Iran or Russia or for infringement of U.S. banking rules. These fines fall largely on the banks of U.S. allies, so Europeans now speak of the dollar's "weaponization." This affects a key aspect of U.S. financial leadership: throughout the world, commodity prices, derivatives and much else are largely denominated in U.S. dollars. But, since dollar transactions must clear through the U.S. system, they subject the foreign bank to the risk of U.S. sanctions for transactions that are legal at home. France believes it illegitimate for the United States to enforce its foreign policies by levying huge fines just because dollar transactions have to clear through the United States. Standard Chartered, a UK bank, disputes the legitimacy of being fined for not fully following U.S. sanctions on Iran, just because it has to clear U.S. dollar transactions. U.S. isolation of Iran from the Society for Worldwide Interbank Financial Telecommunication (which did not increase sanctions' effectiveness), and threats to ban Russia from using SWIFT, the global foreign exchange clearing system, have led to interest far beyond Russia and Iran in developing alternatives. Some Asian finance ministers call it abusive that, because their banks have to clear dollar transactions, U.S. FATCA rules force their banks to report every U.S. account to them while Washington refuses reciprocity. This perception of abuse has induced nascent efforts to avoid dollars and to develop alternatives to U.S. clearing institutions. Since the Hong Kong dollar is a near-perfect proxy for the U.S. dollar, but does not create vulnerability to U.S. sanctions, extraordinary surges of Hong Kong dollar transactions have strained Hong Kong's ability to maintain its currency system. Likewise, countries and companies are quietly seeking ways to circumvent (Belgium-based) SWIFT and CLS. While each particular sanction may be justified, such heavy reliance on sanctions is eroding the willingness of foreigners to rely on dollar-based institutions. Today there is no alternative; the likely future beneficiary is the renminbi. As the renminbi becomes more prominent, the United States is opting out of leadership in the next evolution of the global monetary system. Hong Kong, Singapore, Seoul, Sydney, London, Frankfurt and Paris have all rushed to become RMB settlement centers. With the United States uninterested, the North American settlement center is now Toronto. Crucially for U.S. leadership, the United States has lost its enthusiasm for liberalizing global trade and investment, primarily because the left of the Democratic Party, dominated by unions opposed to economic adjustment, has superseded the party's center. The Democratic left held up trade liberalization agreements during the George W. Bush administration, and the Obama administration was very slow to promote trade agreements. Asians, particularly China, have moved faster. An equally important risk to U.S. leadership is the new global trading structure that the United States is promoting. The Trans-Pacific Partnership envisions a new era across the Pacific, and the Transatlantic Trade and Investment Partnership across the Atlantic. Omitted from these agreements is the world's largest trading economy, China. Washington argues that China is not ready for the high standards of TPP, but this argument is belied by the inclusion of Vietnam and Japan. Vietnam lags China in every dimension addressed by TPP. Japan is much more closed to foreign trade and investment than China and has demonstrated none of the heroic willingness to adjust to higher standards that China showed when it joined WTO. Shanghai streets teem with Buicks, whereas American cars are rare in Tokyo. President Obama speaks before signing an act that will allow him to negotiate trade treaties, including the TPP. SAUL LOEB/AFP/Getty Images. Much of the world concludes that, as with the governance arguments over AIIB, the "higher standard" arguments for TPP are cover for efforts to isolate China. Key U.S. business leaders say that Bush 43 promoted TPP over their favored Free Trade Area of the Asia-Pacific because TPP excluded China. President Obama presents TPP as an antidote to Chinese influence in every speech promoting it. The effort to exclude China jeopardizes one of the greatest achievements of U.S. postwar strategy. China and the United States have become the greatest economic partners in world history. Their trade in goods and services now exceeds $600 billion, or $700 billion including Hong Kong. Between 2000 and 2014, China invested $47.5 billion in the United States, including $12 billion in 2014 alone. Its integration into the Western investment, production and distribution system; its openness to vast amounts of foreign investment; its embrace of U.S. products to a degree that exceeds America's main Asian allies; its heroic adjustments to join the WTO, accepting an agreement far tougher than those imposed on any other country; and its acceptance of WTO adjudication mechanisms, constitute one of history's great reversals of alliance. The poorer part of the U.S. population has benefited from inexpensive goods to an extent that no imaginable welfare system could ever have provided. The risk of the United States partially isolating itself from Asian market liberalization, centered on China, is the greatest risk to U.S. foreign policy preeminence since the isolationist movement preceding World War II. Western producers are about to benefit from a wave of over 3 billion new emerging market consumers, centered in China, that will be the fastest growing export market in world history. Congressional politics has focused on the inevitable frictions, blaming China for the consequences of automation, largely ignoring the mutual interests, and thereby undermining a moment of U.S. triumph. The risk of the United States partially isolating itself from Asian market liberalization, centered on China, is the greatest risk to U.S. foreign policy preeminence since the isolationist movement preceding World War II. For a positive economic strategy one must look across the Pacific to China. This was the way Truman and Eisenhower did strategy. The Chinese vision comprises one silk road on land and one on the sea, stimulating integrated economic development of 60 countries. The land silk belt will connect Southeast Asia, Eurasia and Western Europe with infrastructure built to common standards, gradually negotiating common standards of many other kinds. Already rail traffic from China to Germany is three times faster than by ship and it will soon become far faster. 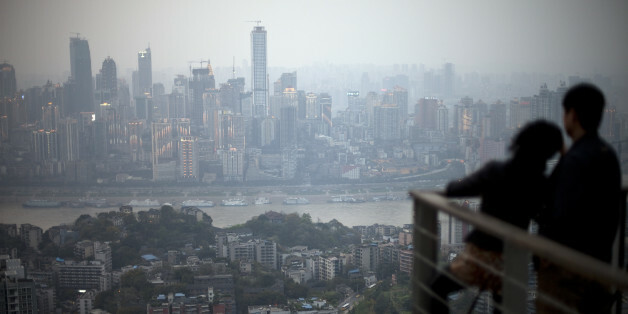 Chongqing is becoming a gigantic Chicago, a hub for Eurasia. The sea Silk Road intends to integrate Africa and South Asia into this network of development. New international financial institutions will fund this. 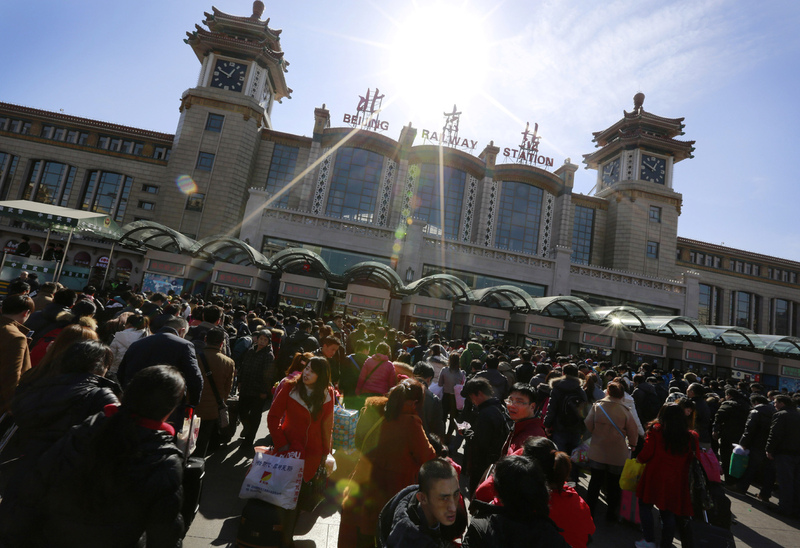 China will continue to open its markets to neighbors faster than formal agreements require. China's $46 billion infrastructure plan for Pakistan could stabilize what will otherwise remain one of the world's greatest reservoirs of terrorism and nuclear dangers. Its plans for the port of Gwadar would clean up the greatest regional hub of criminal gangs, drug smuggling and human trafficking. Negotiations over Gwadar have led to the most important tentative regional peace deals in decades, including compromise over a vital watershed. The construction site at Gwadar port in the Arabian Sea. BEHRAM BALOCH/AFP/Getty Images. China's dual silk road strategy effectively appropriates abandoned U.S. intellectual property. Like its U.S. predecessor, if implemented successfully despite formidable hurdles, it offers the world's sole coherent strategy in today's world for containing, over decades, the explosions of violence that endanger global stability. China's strategy is the exact analogue of the U.S. strategy that contained and eliminated most ideological and religious violence in Southeast Asia. In Southeast Asia more people died, the ideological interactions were more complex (including Islamic fundamentalism and wild Maoism) and the risk to global balance was more dangerous. Given proper strategies, today's problems are simpler. Oppose the strategy because it will enhance China's influence. U.S. allies would then desert and there will be no chance of containing regional jihadism. Proceed with current U.S. military operations independent of China. That would waste both U.S. and Chinese resources. China will need military protection of its economic strategy, as the United States did during the Cold War, and will develop the necessary capability. Provide the military counterpart of China's economic strategy. This could be relatively efficient, but China will be seen as the good cop, the United States as the bad cop, and China will reap disproportionate rewards. Reassess U.S. global strategy, reverting to a balanced economic and military strategy and coordinate with China, striving to recreate the substantial partnership that joined China and the United States against the Soviet Union. The collaborative spirit might well make it possible to resolve less important issues such as the South China Sea. There would be no assurance of that outcome, but Beijing has determinedly sought to re-focus the relationship on win-win economic relations rather than zero-sum military competition. Whether the United States ends up mainly competing with China or mainly cooperating with it, continuation on the path of overweening military priorities will continually degrade U.S. influence, while restoration of a more balanced policy will revive it. The gravest threat to American global leadership is neither Russia nor China but rather continued interest group-driven congressional abandonment of the kind of balanced strategy that won the Cold War. Pogo understood in 1970: We have met the enemy and he is us.